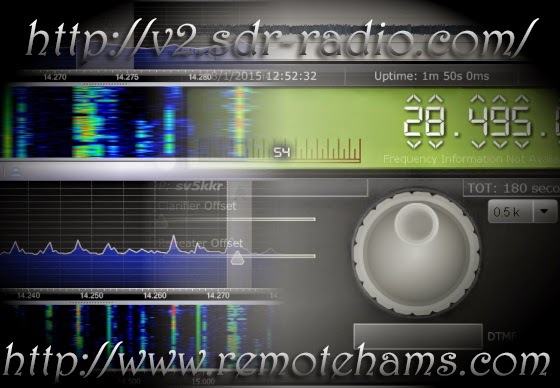 SV5BYR: Remote RX servers are back...!!! My remote RX servers are back today. It takes me long time to to make a good rearrangement and some antenna improvements. Now looks to be all OK. Both SDRs (HF and VHF-UHF) are on-line on http://v2.sdr-radio.com/, and also SV5KKR's (my son's Manos) FT-817 at http://www.remotehams.com/.